Wrap #1, with hand-painted Supima cotton; 260 GSM. Details here. 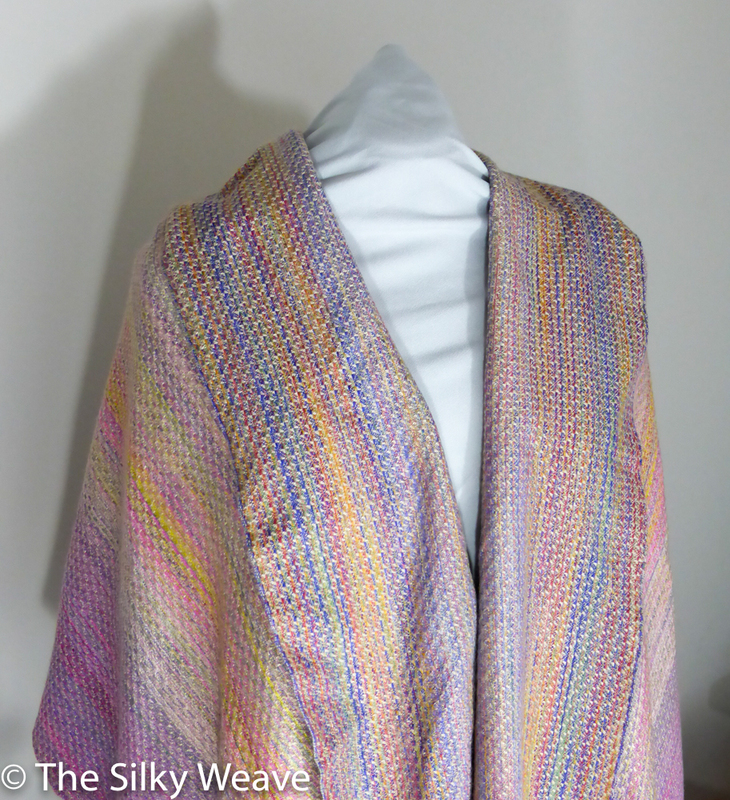 Wrap #4, woven with Tsumugi silk and hearts weave, with 300 GSM. 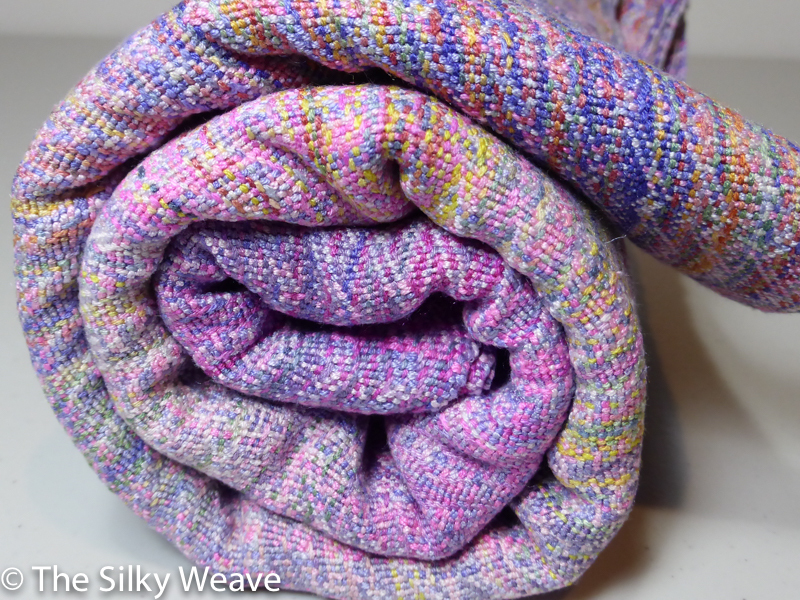 You can buy this beauty in the Silky Weave Etsy shop (link); here are more details about it. Wrap #5, all silk, hand-painted, and 250 GSM. See more pics here. Shawl #6, with silk and ramie weft. More details. Loop scarf #7, with ramie weft and celtic braid weave. 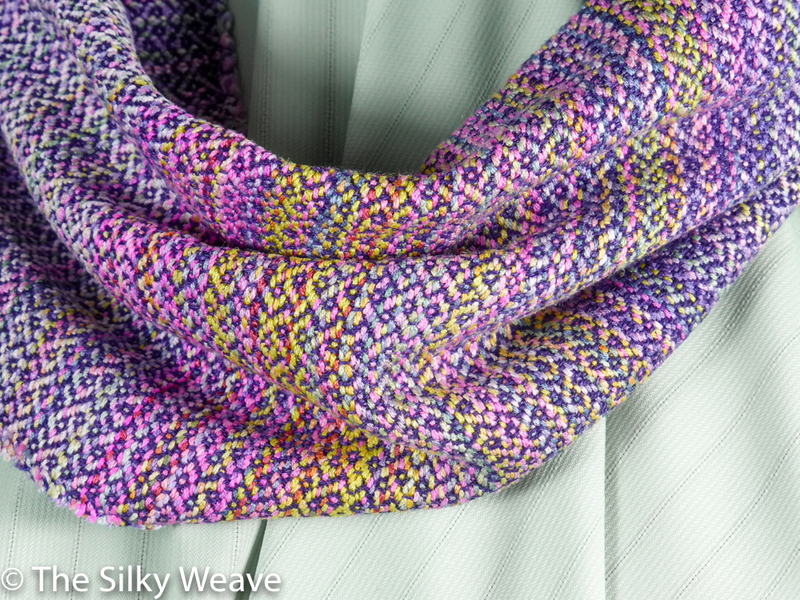 Loop scarf #8, with the reeled silk as weft. See more details here. Loop scarf #9, with the spun silk weft, the same as in the warp. See more details! 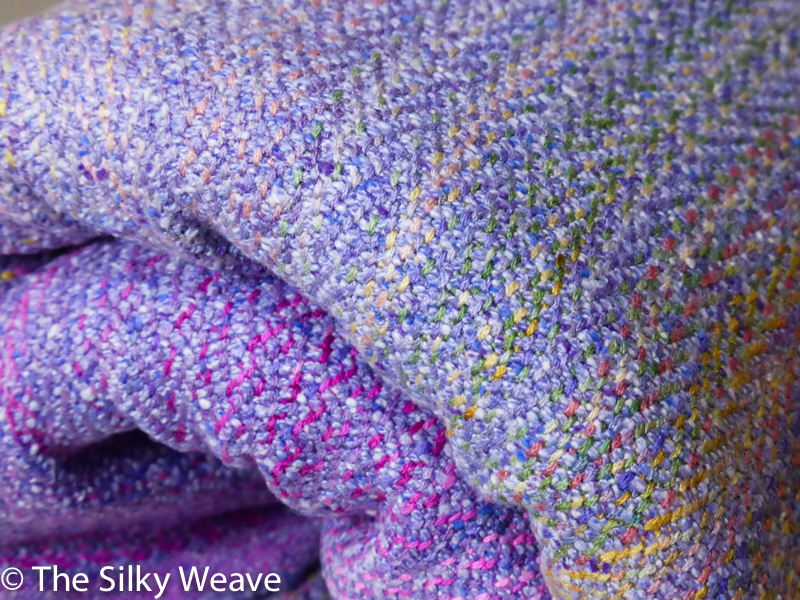 Loop scarf #10, with purple cottolin weft and plain weave. More details here! 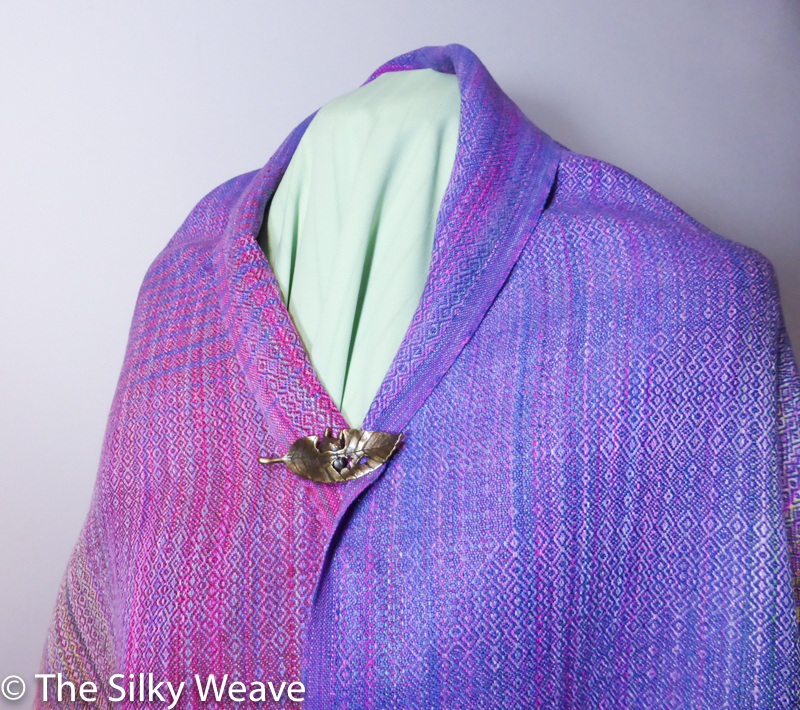 Wrap #11, with tsumugi bourette silk and twisted fringes. GSM 218. See pictures here. Ring sling fabric #12, with variegated cotton and 340 GSM. Available for purchase at the Etsy shop; more details posted here. Ring sling fabric #14, 100% Mulberry spun silk and 325 GSM. Etsy shop link; and a blog post with more pictures. 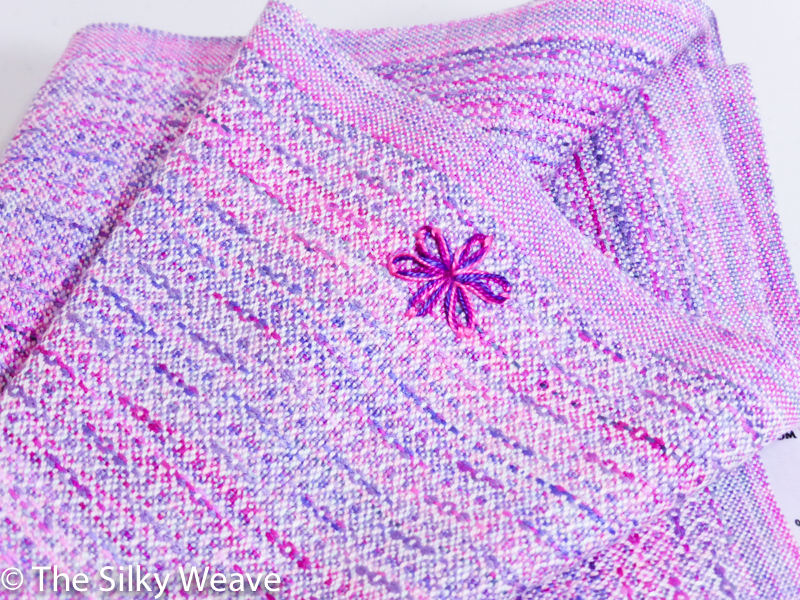 Shawl #19, with silk / baby camel weft and chevron weave pattern. Available for purchase. Ring sling #20, with white bamboo and ski tracks weave pattern. Listed on Etsy: link.